The 2019 Big Barn Shootout was held in Chilliwack, BC this past weekend. The track was very large, fast and a challenging layout. This year the event had a lot more entries which made for longer days and stiffer competition, with drivers coming from as far as Ontario and the North western United States as well as western Canada. The higher numbers made the track surface different from last year, it started out smooth and low grip, as the weekend went along the grip came up and the track started to develop some holes and ruts, which made the main events more challenging. Official practice started at 11am on Friday and went until 10pm, this was limited to five practice sessions per class entered and was regulated by punch cards. Saturday was three round of qualifying and it was Xray’s Ty Tessmann who was able to take the TQ in both classes. 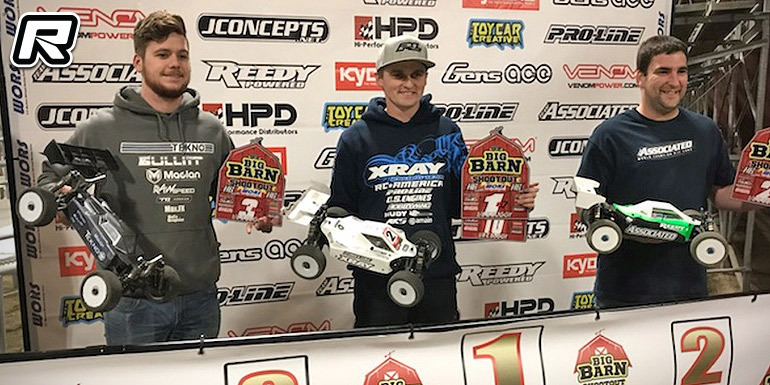 In the 30-minute Nitro Buggy A-main everything went smoothly for Ty who was able to take the win from Serpent driver, Abiye Birku on the runner-up spot and Carson Phipps (HB Racing) in 3rd. Up first on Sunday however was A1 of E-Buggy. Ty got a good start and was able to lead the race from start to finish. 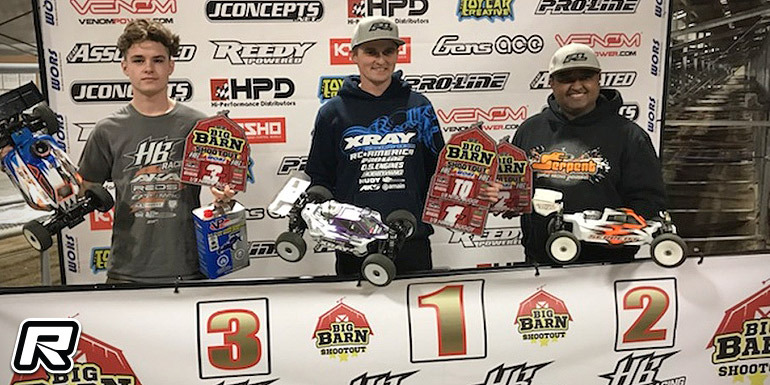 Tessmann used A2 of E-Buggy to test tyres for the nitro main one more time and was again able to take the win which gave me the overall win in E-Buggy from Team Associated driver Mason Henderson 2nd and Tekno driver Tyler Wonders in 3rd.